Updated Wednesday January 10, 2018 by Kitchener Sports Association. The goal is to find a best recipient, not a right or wrong recipient, so that the recipient represents the best of sports in the local community. 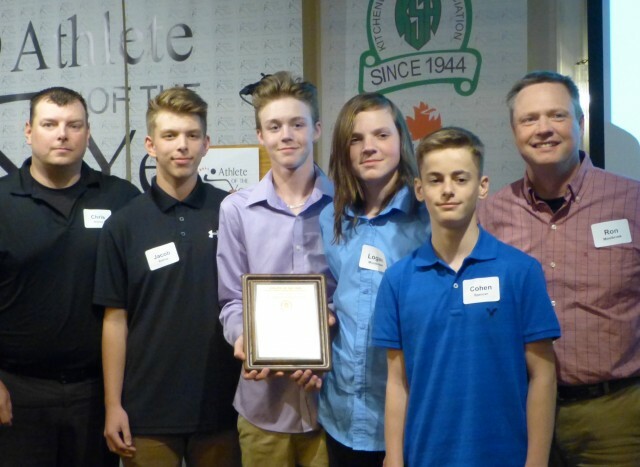 Nominees must be from Kitchener, Waterloo or the township of Wellesley, Wilmot or Woolwich to be recognized as a good community citizen/team/organization serving as a role model within the sporting community. Consideration is given to the level of involvement in the community as well as competitive spirit, sportsmanship and enthusiastic support of participants. Individuals nominated must be volunteers -- level and extent of volunteerism is of prime importance -- those who receive remuneration are not eligible. Contact the organization, team of individual being nominated to ensure willingness to have name submitted and considered. Inform the nominee that if the nominee is not selected in the year submitted, the nomination may be considered in a future year. After receiving approval from the nominee, provide a detailed resume with rationale stating why the nominee should be considered. Please forward your nomination of an individual, team or organization to The Awards of Excellence Committee, chaired by Steve Grant, c/o Madorin, Snyder Law Offices, 55 King Street West, Box #1234, Kitchener, N2G 4G9 or by email to SGRANT@KW-LAW.COM The deadline for submissions for consideration for the awards, (to be presented at the Athlete of the Year dinner on May 16, 2018) is 5:00 p.m. January 31, 2018.